The unconstitutional review system refers to the legal system in which the institutions with the right to review the violation of the constitution conduct a constitutional review to determine whether it is unconstitutional. The unconstitutional review system is of great significance to the constitutional construction of a country. If there is no such mechanism, the constitution is just a "death law" in a sense. In other words, it is a mere sham. Since 1803, the us Supreme Court chief justice John Marshall pioneered by the case of marbury v. Madison's decision to establish the system of judicial review, judicial review is not only become a question of constitutional theory, but also the major problems found in the constitutional practice highly attention. 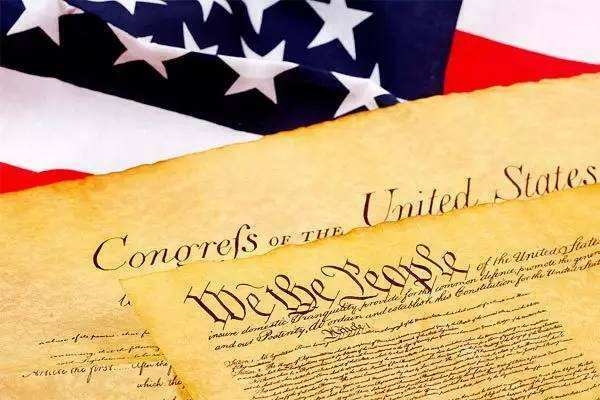 Especially after the World War II, more and more constitutionalist countries established and continuously improved their unconstitutional review system, which made the unconstitutional review of the United States have international significance. It is estimated that by the early 1990s, more than 139 countries in the world had established unconstitutional review systems. The U.S. Supreme Court of the unconstitutional review power, rooted in the "separation of powers, checks and balances each other" the spirit of the constitution and the traditional colonial period of judicial review, and the Supreme Court for judicial review of unconstitutional is established through their acceptance of a case in 1803, the famous "marbury v. Madison" case. As we all know, the constitutional code of the United States does not expressly stipulate the unconstitutional review system, but because its precedent is one of the main sources of law, marbury v. Madison passed the constitution as the highest law of the United States; The entity that interprets and implements the constitution is the judiciary; The court's interpretation has binding effect on other branches of government, thus expanding the judicial jurisdiction of the Supreme Court and giving it the power to examine whether congressional legislation is unconstitutional. Since then, the judgment of the marbury case has become a judicial precedent. Courts at all levels have the right to examine whether the laws and decrees promulgated by the government are unconstitutional. Among them, the Supreme Court has the final say in cases involving the interpretation of the federal constitution. At this point, the judicial review power of the court was gradually recognized and became an important political system in the American legislative system. In accordance with the federal constitution and the 1789 judicial act, the United States established federal courts at all levels. The judicial power, which has always been regarded as weak, finally gained a firm foothold after a painful struggle. The three powers were divided, and the balance of power developed more smoothly on this basis. In the United States, judges enjoy the highest status and are respected by the people. At the same time, the political idea of "superior judicial power" is rooted in the hearts of Americans. In fact, the Supreme Court of each state in the United States is also exercising judicial review power. The United States unconstitutional review exists in the entire judicial system, is the so-called "decentralized", ordinary courts can implement the unconstitutional review. The content of unconstitutional review varies greatly in different countries due to different modes of selection. The judicial review conducted by the federal court of the United States covers all laws and decrees passed by the congress as well as all administrative regulations and orders made by the government. The Supreme Court of the United States has the power to review not only laws enacted by the congress, but also state laws and orders issued by the President of the United States. However, the Supreme Court does not take the initiative to review laws, decrees and orders and regulations of the government passed by the congress, nor can it review on the basis of hypothetical facts. In practice, unconstitutional review is mainly about the review of federal law and state law. In the way of bringing up the review, the unconstitutional review is more often brought by individuals. That is to say, the parties actually filed an ordinary lawsuit became the premise of the court to start the constitutional procedure, that is, the court to exercise the right to review the violation of the constitution to the occurrence of specific cases as a condition. As specific case occurs, the parties if they think a legislation in congress or the state that a law unconstitutional and therefore infringe on their own legal rights, you can ask the court to the requirements of the law unconstitutional censorship, or in situations where the parties did not put forward, the court at the trial related laws may involve unconstitutional, can the initiative of the law review. In other words, the court can only review the law involved after someone brings an ordinary lawsuit. Therefore, the American unconstitutional review method is also known as the ex post review. From the perspective of the procedure of unconstitutional review, the Supreme Court of the United States "conveniently" reviews the constitutionality of relevant laws when trying specific cases and follows certain judicial procedures. The basic approach is that ordinary courts review the normative documents such as laws, regulations and administrative orders involved in specific cases. After review, the court has the right to reject the application in its judgment if it considers it unconstitutional. That is, if a law or order is ruled to be unconstitutional, its effect is not to revoke the law or order, but to declare that the law or order is not applicable to the case. There is no substantial difference between the Supreme Court's procedure for examining the violation of the constitution and the ordinary procedure. First of all, by exercising judicial review power, the Supreme Court ensures the supreme authority of the constitution, maintains the supremacy of the constitution, maintains the unity of the legal system, and promotes constitutional construction. Secondly, the court, as the patron saint of the constitution, maintains the basic rights of the people protected by the constitution by exercising the right of judicial review. Therefore, in a certain sense, it can be said that "the existence of judicial review system is the need for the implementation of mass democracy and the protection of minority rights under the democratic system to prevent the formation of majority autocracy. Finally, the judicial review system in the United States limits the legislative power and administrative power through judicial power. By limiting the legislative power and executive power, it maintains the political structure of separation of powers and checks and balances, and promotes and promotes the development of American politics and political forms. As tocqueville said, "the federal constitution of the United States and its judicial review system are like a beautiful work of art created by a skillful craftsman, which can only make the inventor famous and rich, and become useless if it falls into the hands of others." First of all, the unconstitutional review system in the United States allows a few people to declare that laws enacted by the legislature are invalid, which to some extent violates the principle of democracy. Some scholars have raised the question of "are a few professionals smarter and wiser than hundreds of representatives of the public". Secondly, since the judgment of the unconstitutional review organ is final and binding on all state organs, it is dangerous to some extent to judicial despotism, which is likely to lead to unimpeded unconstitutional phenomena outside the judiciary and is not conducive to the development of constitutional national legal system. Finally, the unconstitutional review process can only be filed by the case, the judicial passivity is determined by the passivity of unconstitutional censorship in the United States, the judicial censorship faults have strong hysteresis, if no one to prosecute, so even though the law unconstitutional and will not be able to review, but only to take "not to ignore the negative, is not conducive to advance prevention, also go against the stability of law and order. There are several reasons for the importance of unconstitutional review in American constitution. First, because American democracy was acquired under the oppression of patriarchalism and absolutism, and democracy occurred after constitutional government, this led to a more profound concept of equality. Secondly, because the American legal system belongs to the common law system, which makes American courts have the potential legislative function. Finally, the judicial branch in the structure of the separation of powers in the United States needs to have the right to review the violation of the constitution to counter the threat and infringement of the legislative branch and the executive branch, so as to maintain the state of mutual restriction and balance. Comparatively speaking, the unconstitutional review mode of judicial review has no foundation and ability to operate in our country. Because after more than two thousand years of feudal society and nearly a century of semi-colonial and semi-feudal society, people's democracy has an irreplaceable position in the hearts of the Chinese people. In addition, China belongs to the continental law system. Although the judicial functions are exercised by the courts and procuratorates, they are also subject to the legislative organs. In China, since the NPC is the power organ of the state and all the power is derived from the NPC, it is impossible for us to abandon the current political system and constitution and talk about the establishment of an independent unconstitutional review body with the spirit of a scholar. Instead, we can only build this system bearing the constitutional ideal on the basis of reality. Although we are civil law countries, but the judicial system is closer to the common law system, which also provides us with a necessary link to learn from the unconstitutional review system of the United States. Based on the above analysis, we can imagine whether the unconstitutional review model can change the previous single form and adopt compound form? The NPC, the constitution committee and the Supreme Court should share the responsibility of reviewing the constitution. The constitution committee, elected by the first plenary session of each National People's Congress, shall, of course, be an independent body enjoying high political status and exercising its functions and powers independently in accordance with the law, and shall not be subject to interference by any other organ or individual. The constitution committee is responsible for reviewing all laws and resolutions adopted by the standing committee of the National People's Congress and whether normative documents of the state council and its departments are unconstitutional. Our courts, as specialized agencies of law application, can also carry out necessary review of the violation of the constitution. Its advantage is that judicial review by the Supreme Court can promote the implementation of the constitution and stimulate people's awareness of rights. The Supreme Court's interpretation of constitutional issues can also avoid frequent revision of the constitution, thus promoting the stability and authority of the constitution. First of all, the "constitutional court" was established in the supreme people's court to examine and judge the unconstitutional cases. Using the experience of the United States, we can use attached review mode, to the parties concerned in the process of judicial review by courts at all levels offered and court judge found unconstitutional sexual problems for oneself, if the courts think of constitutional law under review, can make a decision, on the contrary, the case shall be submitted to the supreme people's court, step by step by the constitutional court trials to determine whether laws unconstitutional. China has not established the system of unconstitutional review in the real sense, and there is still a long way to go before the realization of constitutionalism. However, the construction of the unconstitutional review system is a process of the same destination, and there is a universal model for reference. Therefore, the review of building China's unconstitutional constitution should be carried out step by step on the basis of adhering to the system of people's congress and the principle of democratic centralism.